Cornwall is a great holiday destination for dog owners. There’s over 300 beaches, many of which allow dogs, more than 200 miles of coastal path to explore, plus acres of countryside, woodland and moorland to bound about on. 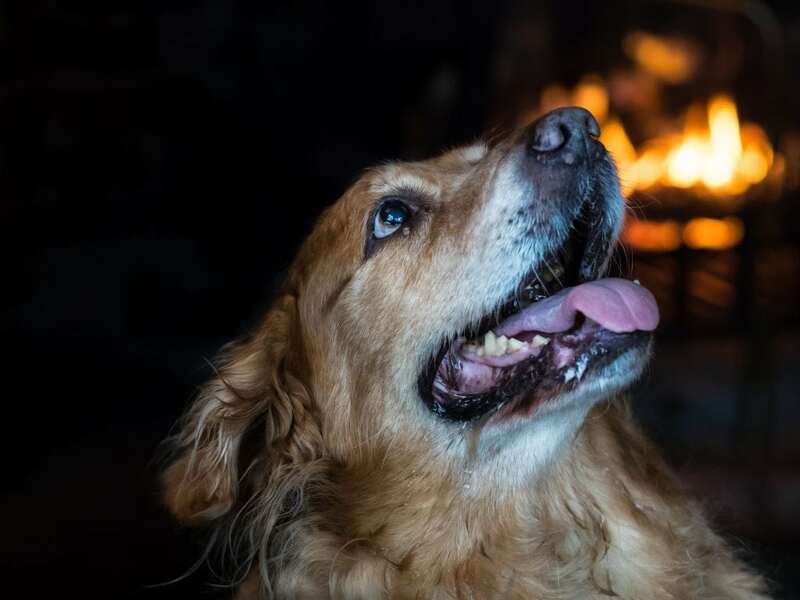 When you’re out on an adventure with your four legged friend, it’s important to have some cosy Cornish pubs to retreat to for some tasty food and a refreshing drink. In many parts of the country, it’s difficult to find many dog friendly pubs, but in Cornwall we are spoilt for choice. 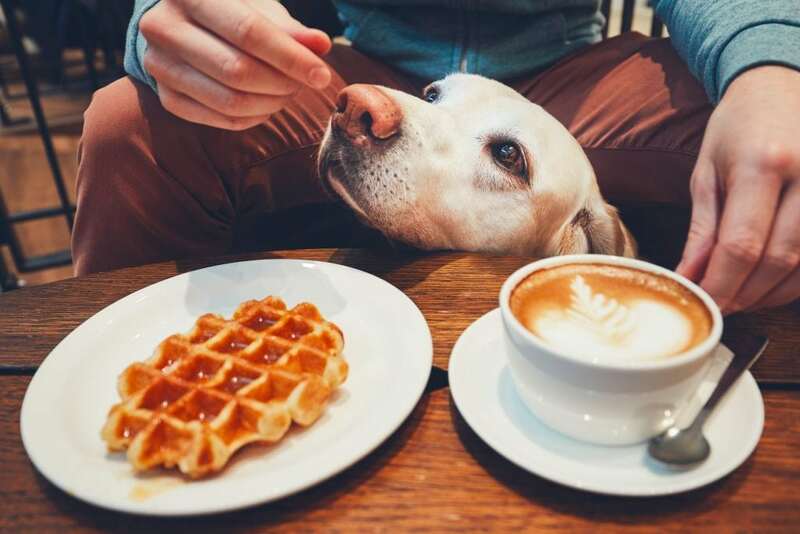 Read on to discover 16 dog friendly pubs in St Ives and the surrounding areas for your next holiday in Cornwall. 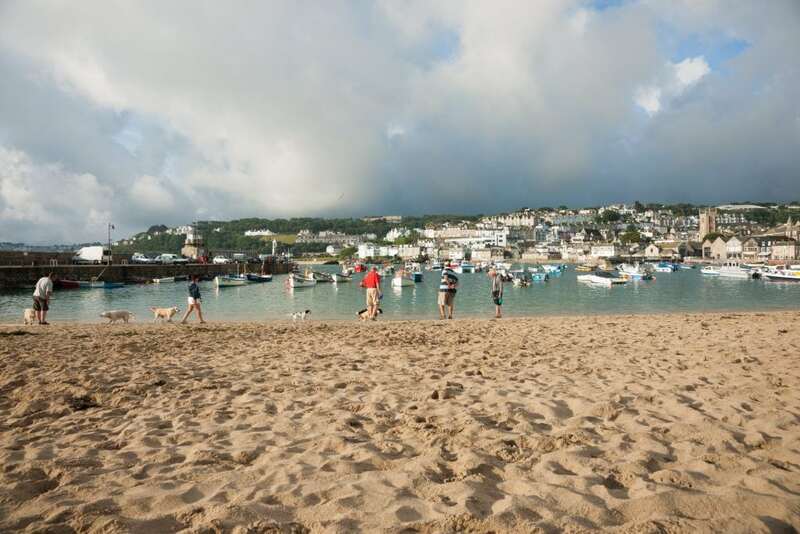 St Ives is the perfect coastal village for dog owners to stay in. 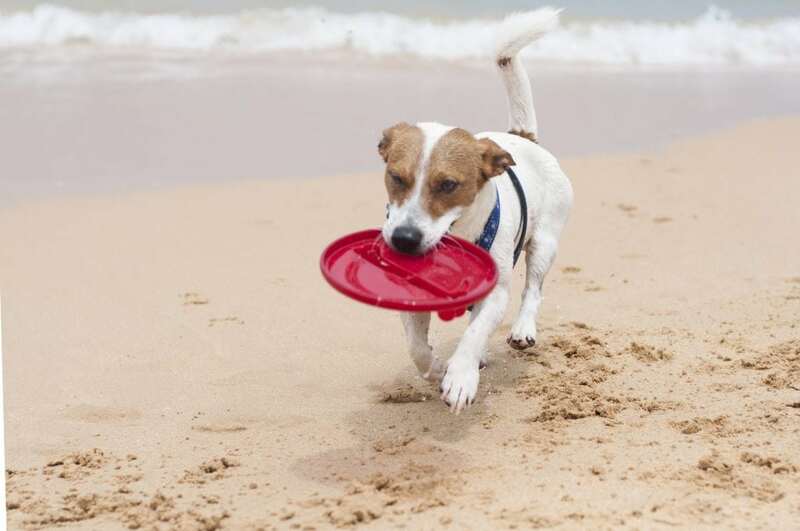 There are 12 beaches in St Ives Bay and many of them are dog friendly. Mexico Towans, Black Cliff Beach, Porthkidney Beach, Clodgy Point Beach, Bamaluz Beach and Lambeth Walk Beach allow dogs all year round. 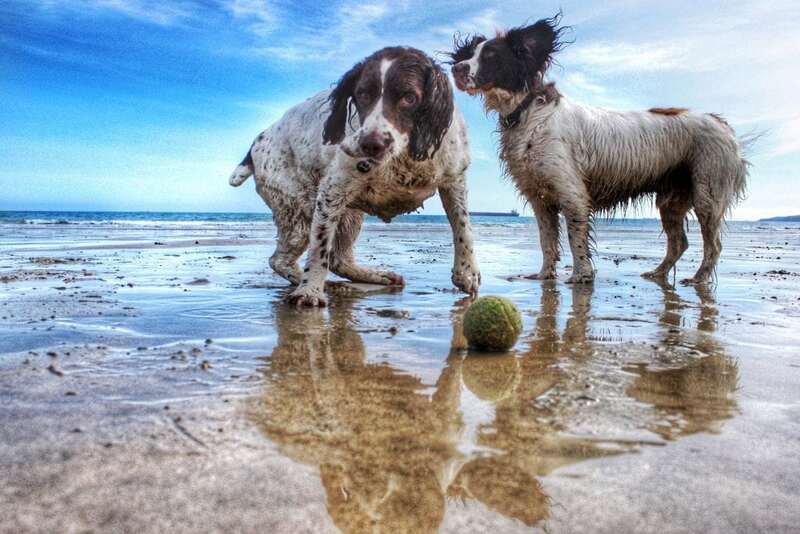 Many other St Ives beaches have seasonal dog bans, which means dogs are welcome from October to Easter. These beaches include Carbis Bay, Porthminster Beach, Porthmeor Beach and Porthgwidden Beach. After a busy day exploring the Cornish coast, there’s nothing better than relaxing in a traditional Cornish pub with your pooch. There are many dog friendly pubs in St Ives itself, in the town or on the harbourside, many of which would be within walking distance of your St Ives holiday cottage. The Union Inn on Fore Street has a traditional pub menu and serves high quality real ales. This cosy pub has an open fire during the winter and serves great Sunday lunches. The perfect place to relax with the whole family, including family members with wagging tales! Situated in a great position overlooking the harbour, The Sloop Inn is one of Cornwall’s oldest inns. This is one of the cosiest dog friendly pubs in St Ives which is popular with locals, fishermen, artists and also a popular choice with tourists. It has a relaxing atmposohere inside and has a cobbled outdoor area to enjoy a beer with a sea view. 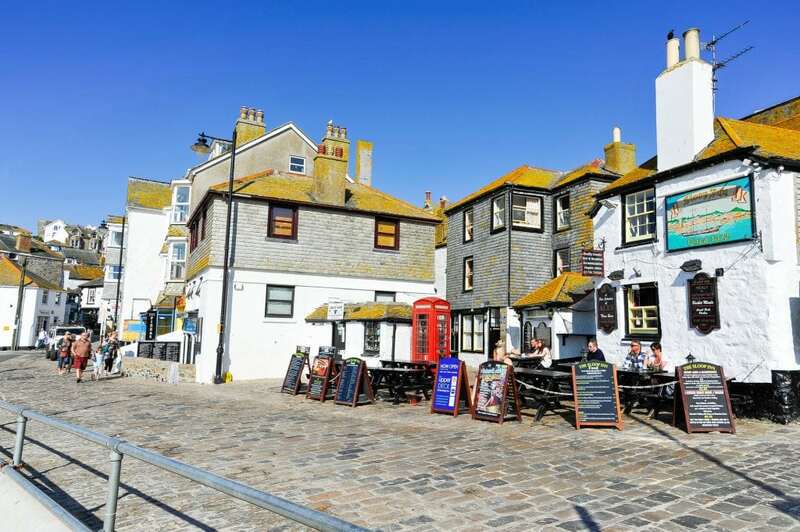 Situated right in the heart of St Ives, this traditional real ale pub is where many locals like to hang out. The Castle Inn is a friendly pub where you can enjoy some homemade rustic dishes, sip on a pint of ale whilst chatting to the locals, or attend a quiz night or live music event. 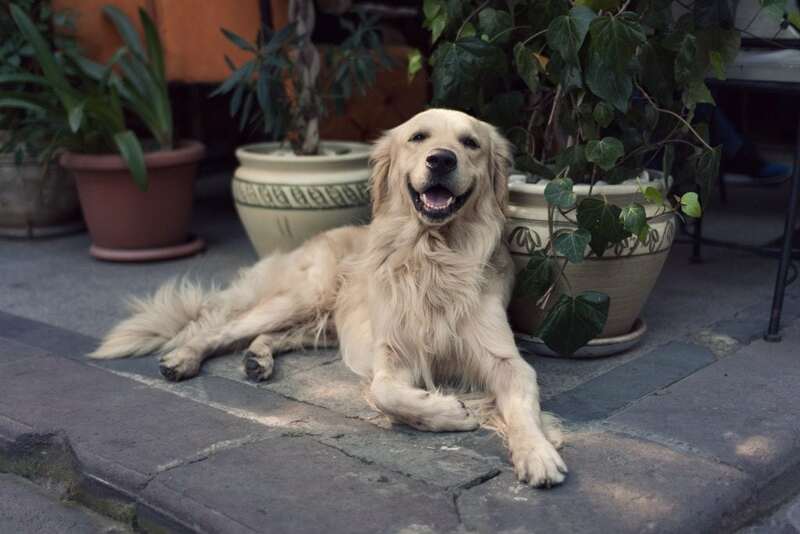 Enjoy a Sunday lunch or an evening meal with man’s best friend by your side. The Golden Lion is one of the dog friendly pubs in St Ives which is located right in the heart of the town. It’s the perfect place to stop off after exploring the cobbled streets or running about on the beach or harbour. They have a sunny beer garden and there’s often some form of entertainment on including live music, quizzes and BT Sport on their TV screens. This one isn’t a pub, but worth mentioning as it’s a great place to chill out with dogs in tow. Go there for a delicious breakfast after an early morning dog walk, enjoy an afternoon cuppa with a slice of cake or head there in the evening for pizza night. We like their interesting hot drinks menu, for example, their ‘Cornish Mist’ which combines Earl Grey, vanilla & steamed milk. The owner’s dog Kodie can often be found snoozing in the Scoff Troff Cafe too. There are lots of dog friendly pubs in St Ives and there are a few restaurants which allow dogs too. The Loft Restaurant & Sun Terrace always has tempting seafood dishes on their specials menu and they use delicious locally sourced ingredients. Dogs are welcome on the beautiful sun terrace which is a wonderful spot to enjoy a meal with friends or family, with a gorgeous sea view. 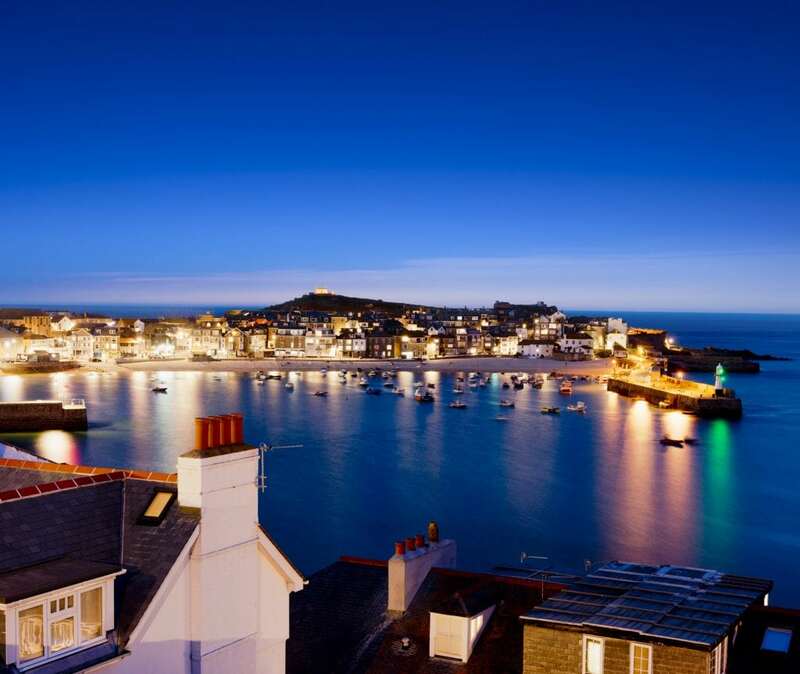 This dog friendly restaurant and bar has incredible views over the harbour and St Ives Bay. Enjoy a special meal at Pedn Olva with breathtaking views with your four legged friend right there with you. We recommend the Pedn Olva seafood sharer which tastes even more amazing with the gorgeous waterside views. If you’re a fan of seafood and rum, the Rum & Crab Shack is the choice for you. This is one of the dog friendly pubs in St Ives which overlooks the harbour and is a great place to spend a relaxing evening after a hectic day exploring. How about trying the rum and crab soup? Or perhaps the crab and corn nachos? The food is delicious and a little bit different to anywhere else in St Ives. Best of all dogs are welcome too. This rural pub is a great place for a lazy lunch or dinner after a long walk. Surrounded by countryside, the Halsetown Inn has some great walking opportunities nearby and you can walk there from St Ives, through stunning scenery and country lanes and fields. The pub is full of character, their dishes are presented beautifully and taste good too! The Tinner’s Arms is over 700 years old and has a sunny beer garden with fantastic views of the rugged coastline and wild Atlantic ocean. The roaring open fire creates a welcoming atmosphere, the staff are friendly and the food is outstanding. Go for a stroll down to the beach and then return for a refreshing pint of Cornish ale or a glass of Polgoon wine from a Cornish vineyard. The Bucket of Blood is a traditional Cornish pub situated in the pretty village of Phillack on the outskirts of Hayle. If you’re wondering how this pub got its name, it was named after an old well that was in the grounds, in which the water was turned red by the tin from the local mines. Enjoy fantastic food in this characterful pub after a long walk on the beach. Angarrack is a quaint village with idyllic countryside views. The Angarrack Inn serves great home cooked food for you to enjoy after a lovely dog walk. Visiting at Christmas? Don’t miss the Angarrack Christmas lights which are some of the most impressive in the whole of Cornwall. Enjoy a leisurely dinner in a 19th century inn in Hayle, with a St Austell ale or a guest craft beer. Warm yourself by their open fire in the winter or enjoy the evening sun in their beer garden during the summer. The Cornish Arms in Hayle is a great place to go for a roast dinner after a Sunday walk, just make sure you book a table because it gets very busy. Situated on the clifftop overlooking the Atlantic ocean, the Gurnard’s Head is a great stop off point when walking the south west coastal path. Walk through rugged scenery with gorse and heather growing on the cliff and breathtaking ocean views below. The salty air will leave you feeling rejuvenated and ready for a delicious home cooked meal in the cosy pub. The Bird in Hand pub is in a beautiful Victorian building which was originally used as stables and a coach house. There are plenty of real ales to choose from, a spacious beer garden, delicious food and live music nights. The pub is situated next to Paradise Park which is a great all weather family attraction. 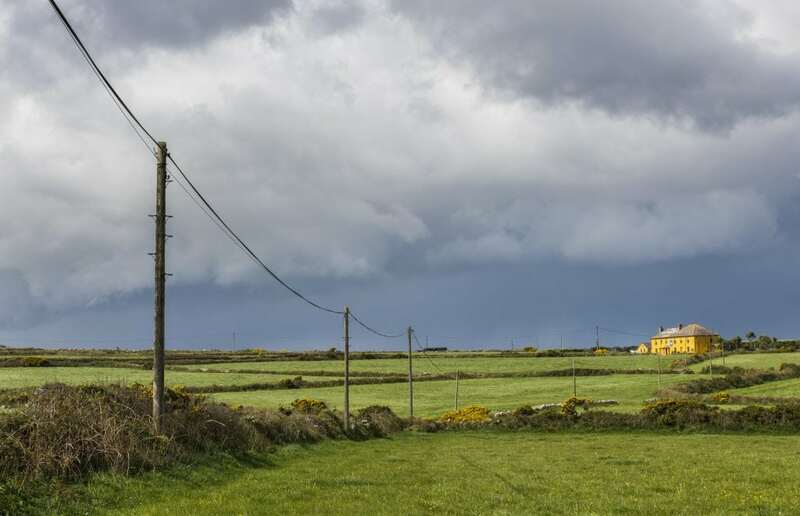 This relaxing village pub is situated between Hayle and Gwithian and close to the long stretch of sand that goes all the way from Hayle to Godrevy Lighthouse. The Red River Inn is located in a peaceful location, just two miles walk from the south west coast path. They have a lovely beer garden and feature many local Cornish microbreweries. We hope you’ve enjoyed reading our guide to dog friendly pubs in St Ives and now have lots of inspiration for your next holiday. Did you know that many of our St Ives holiday cottages and apartments are dog friendly? 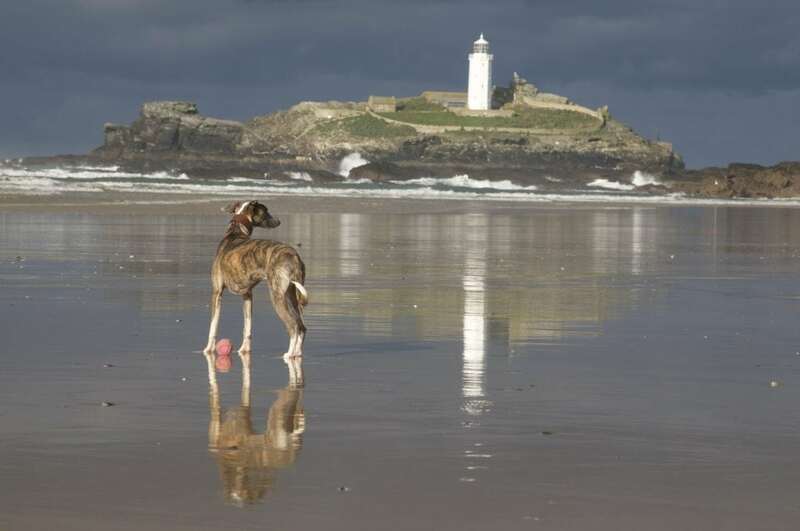 Find your perfect holiday accommodation for your dog friendly break in Cornwall.